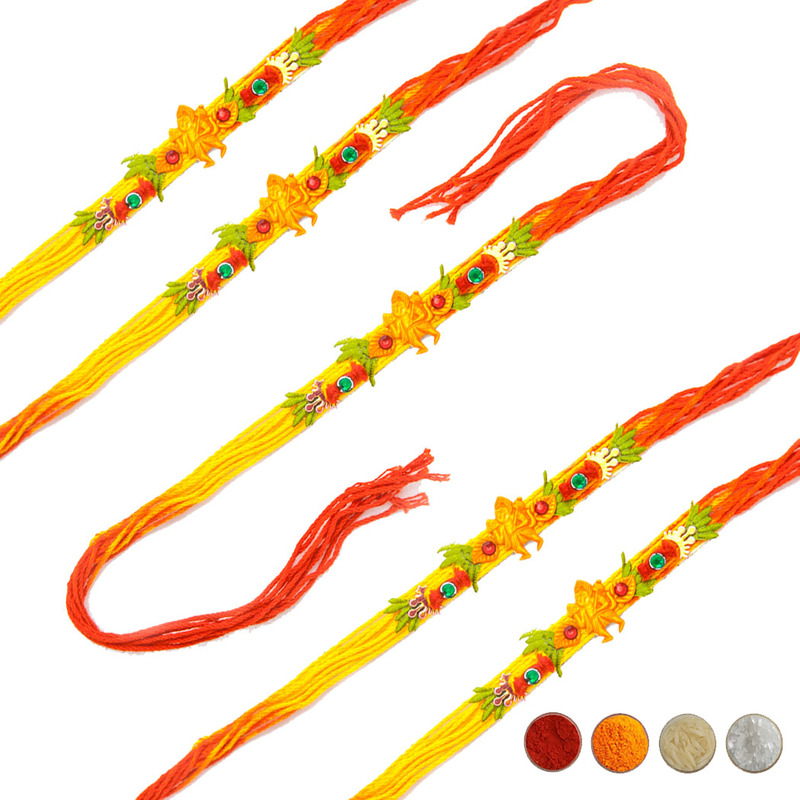 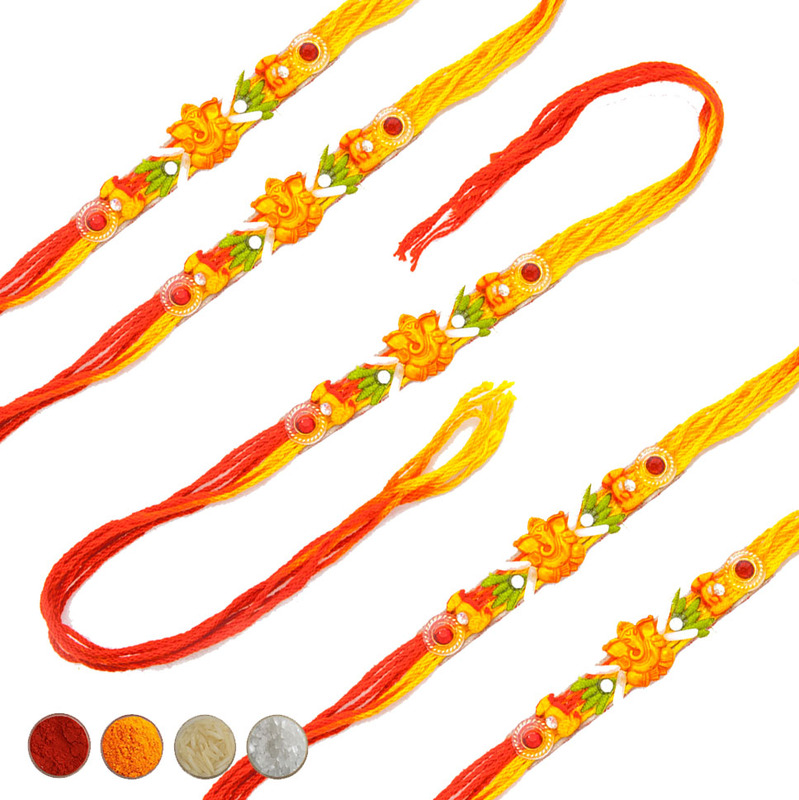 This is a set of 5 auspicious rakhi threads made in traditional mauli threads and Resham Dhaga threads. 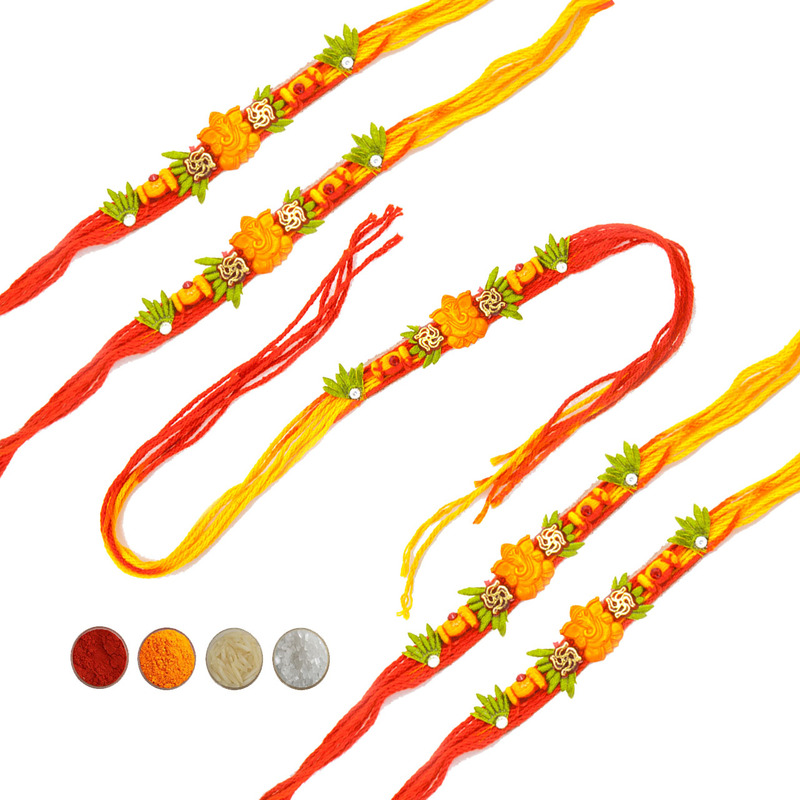 They are ornamented with beautiful beads and marvelous motifs giving an attractive look. 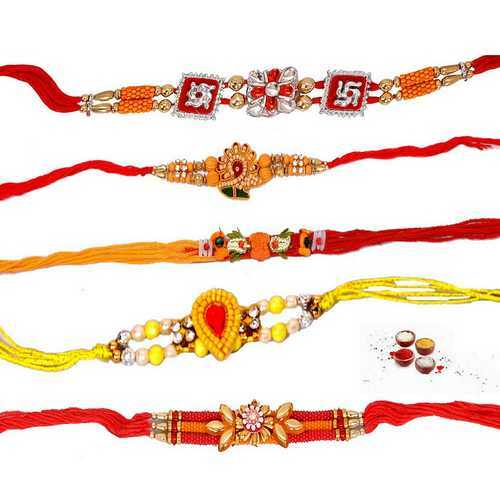 Send these all fabulous auspicious rakhi threads to your brothers with your love and wishes on this Raksha Bandhan festival. 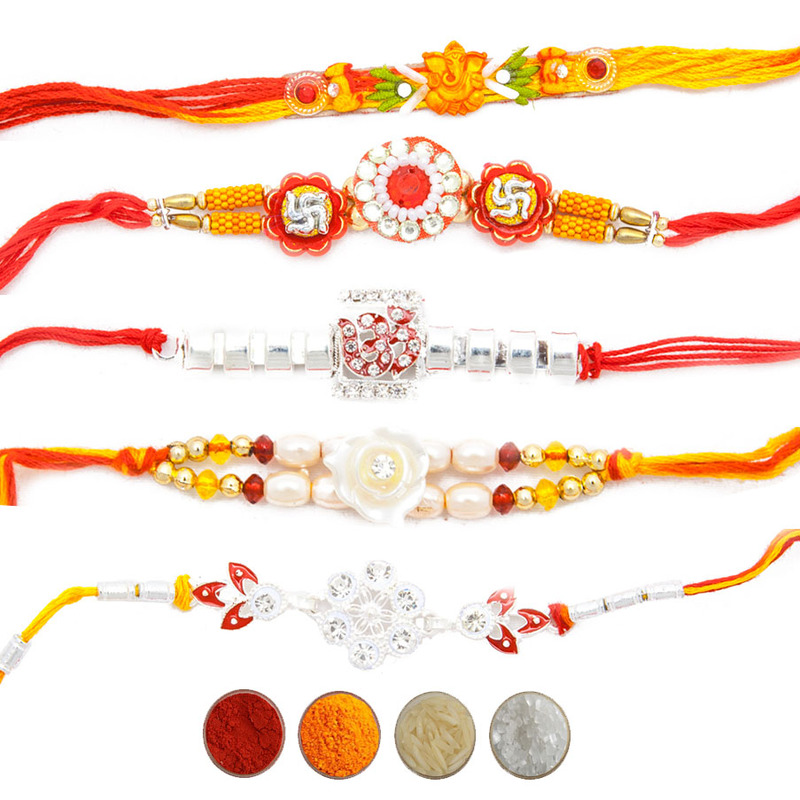 Share your love with your brothers anywhere in India sending rakhis online to India. 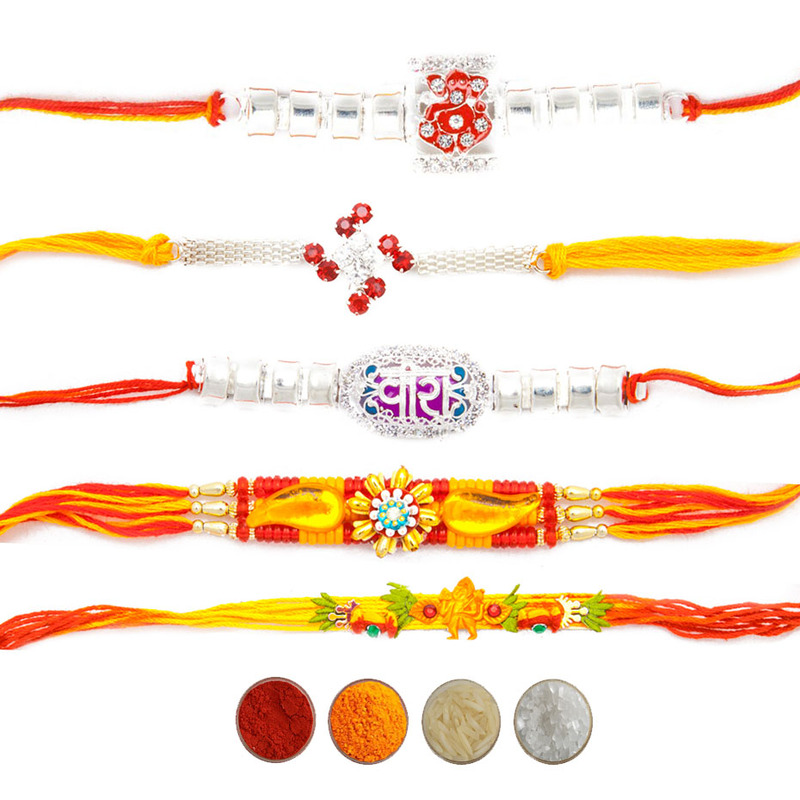 We are offering these fabulous auspicious rakhi threads with complimentary Roli, Chawal, Chandan and Mishri.